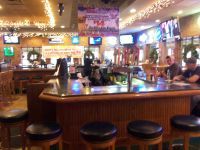 Located at 35E and Larpenteur, Champps Maplewood is the ultimate sports bar with great food, delicious drinks and something happening every night of the week. All of their food is made fresh daily from scratch using the finest quality ingredients. 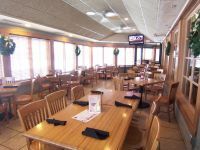 Fresh soup, awesome salads, great burgers and sandwiches, and tasty entrees highlight the menu and a special breakfast menu is available on Saturday and Sunday. Eat in or takeout, or order ahead and use the car side to go. Besides all your favorite beverages, Champps Maplewood has a hot drink menu with coffee and hot chocolate drinks as well as your favorite toddies. Surrounded by big screens. There is something fun happening every night with bingo, pull tabs, and NFL specials. 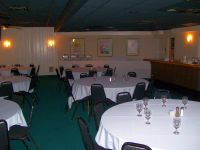 Catering and private dining and banquet rooms are available for corporate meetings, holiday parties, team sports, and any social occasion. 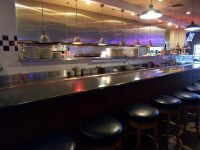 Check out today why Champps is the ultimate party destination.